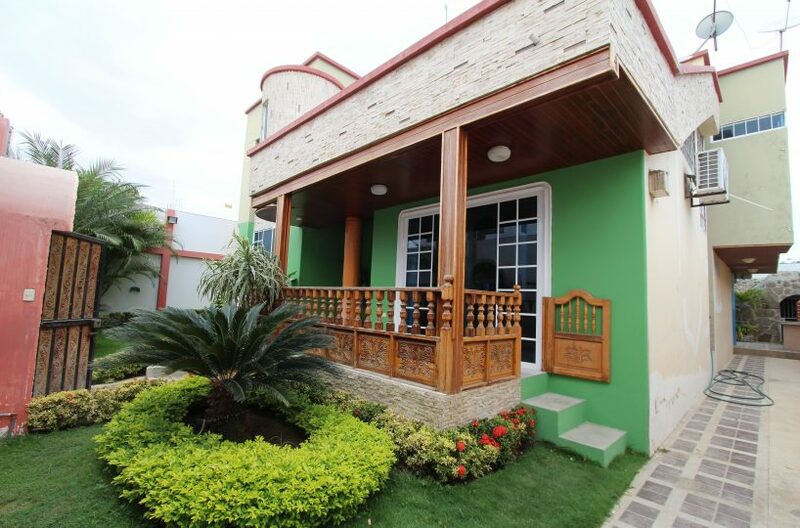 Enter into this home is divine as you come in through the garden and step down into the living room with beautiful furniture. 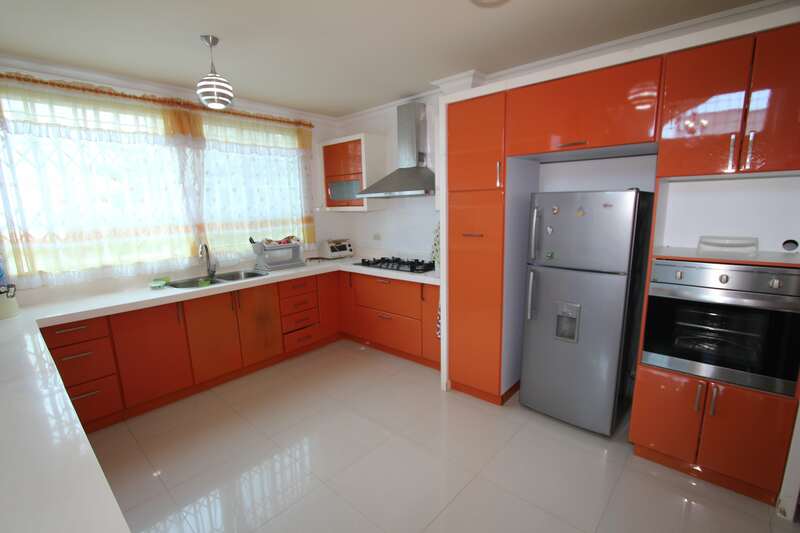 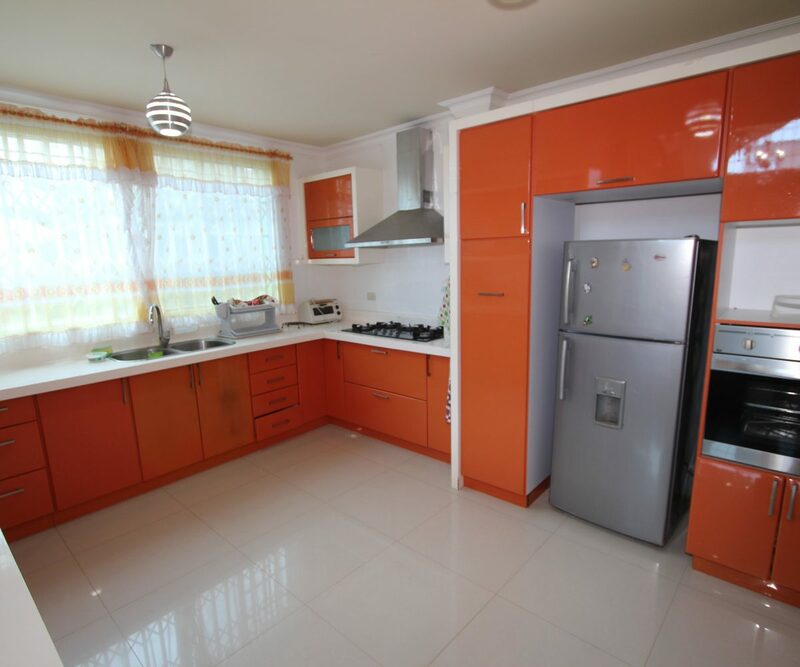 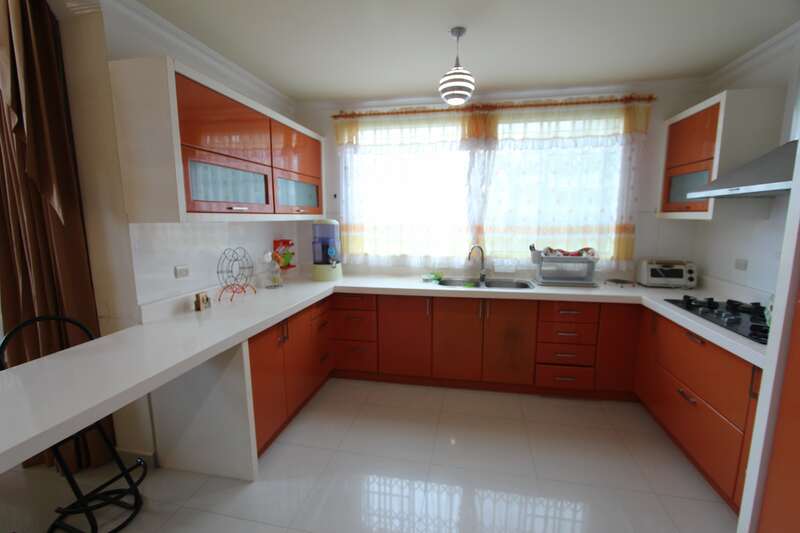 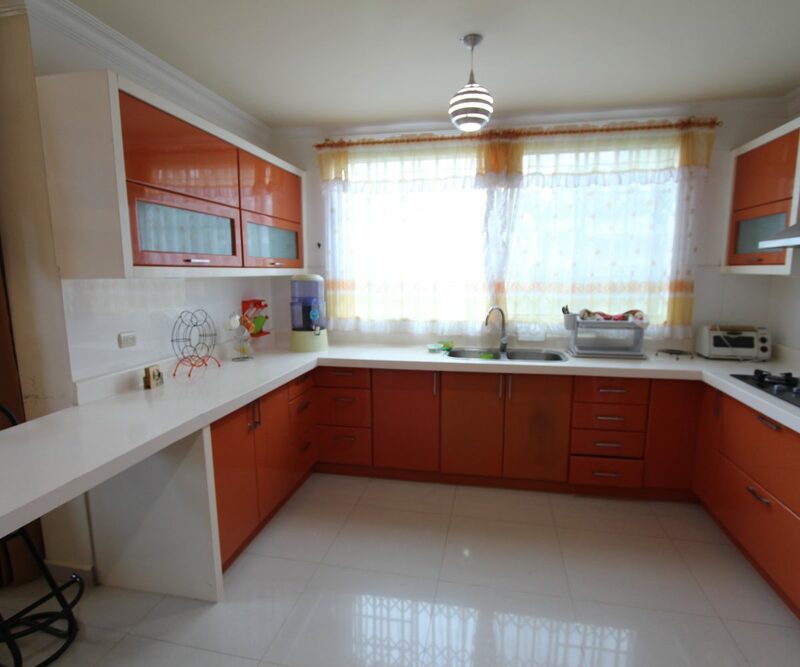 Step up into the kitchen entrance with eating bars and a spectacular kitchen with state of the art custom cabinets. 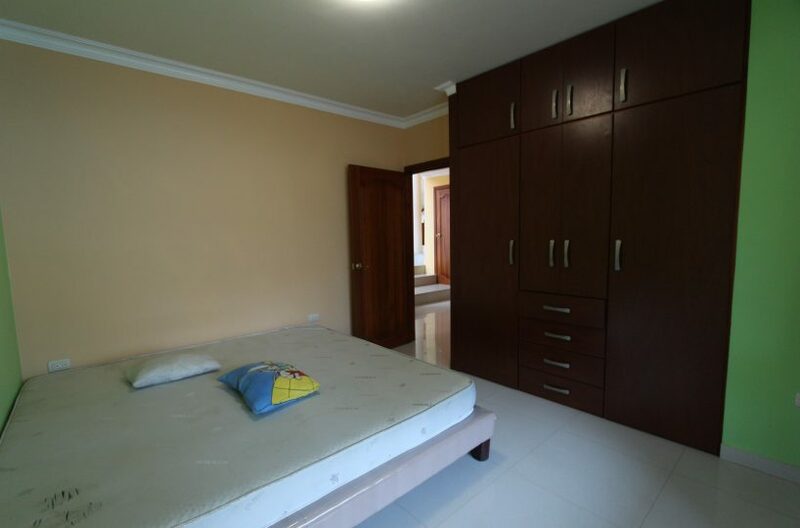 A divider separates living room from bed rooms where there are three rooms to fit your growning family. 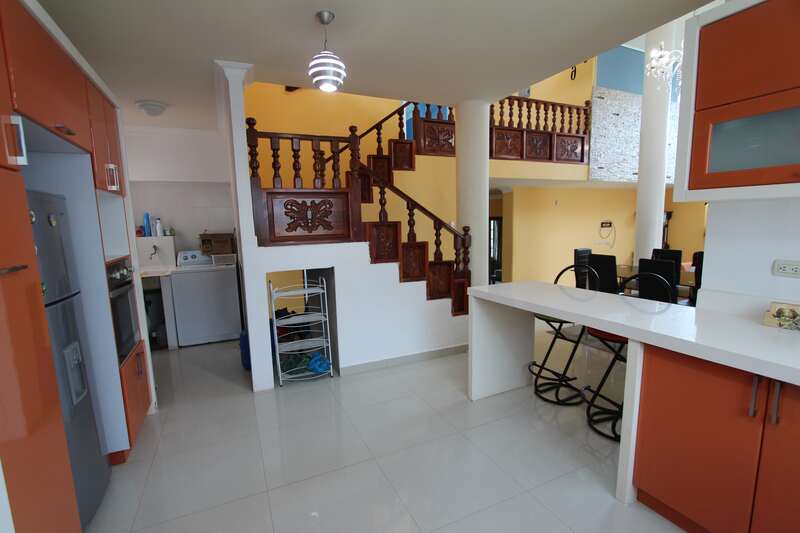 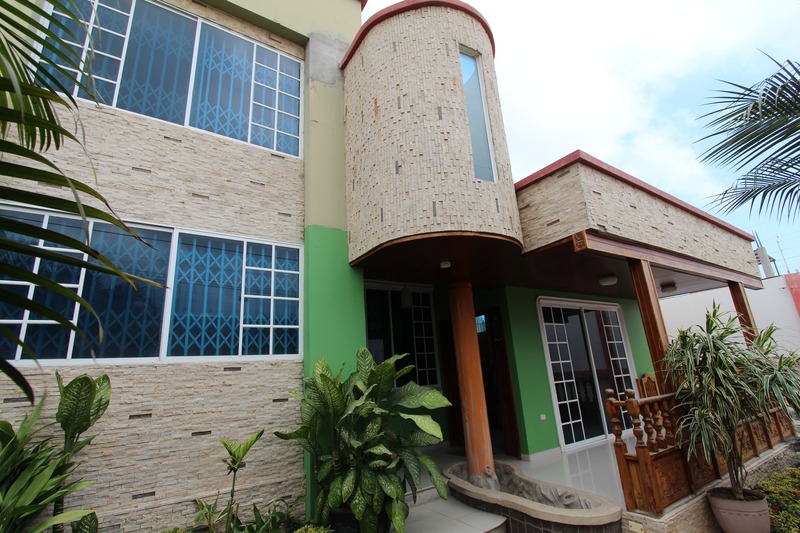 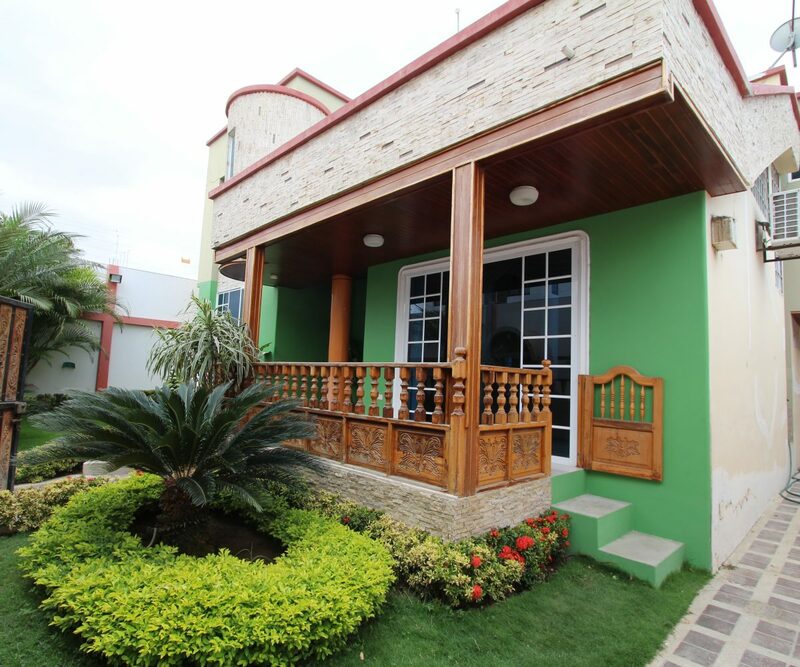 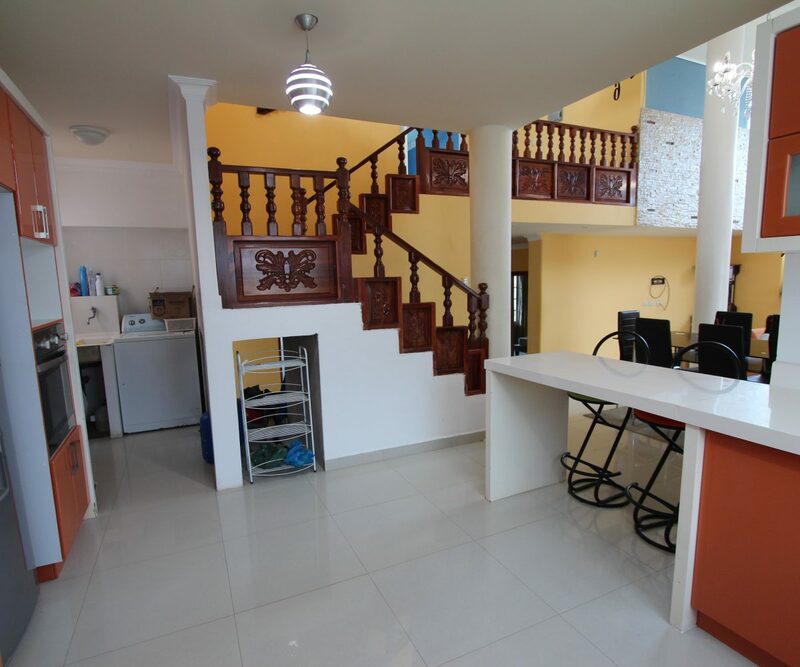 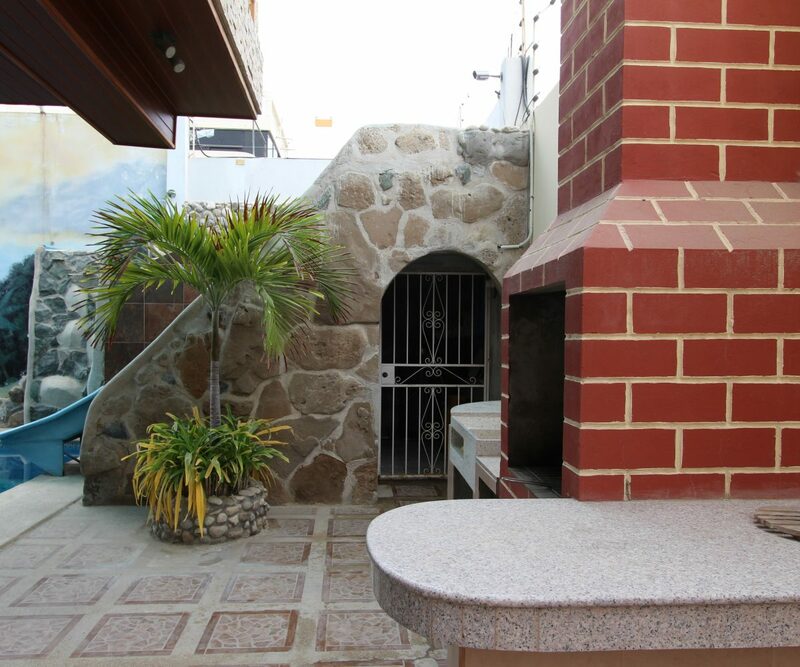 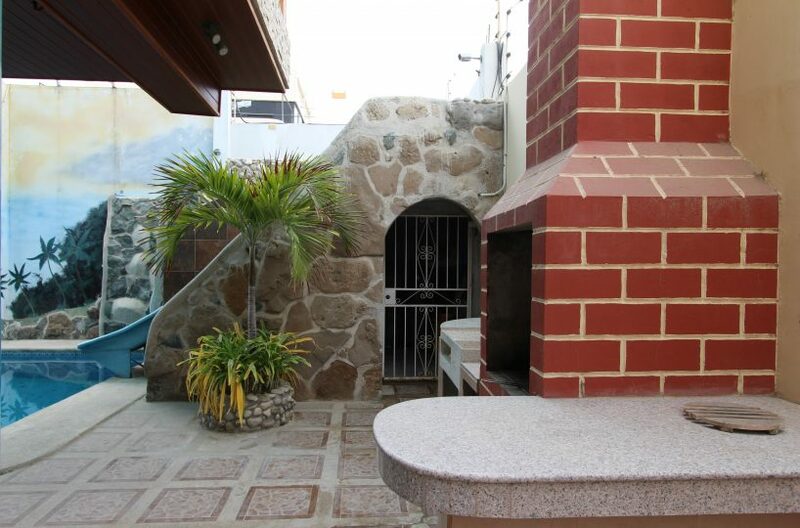 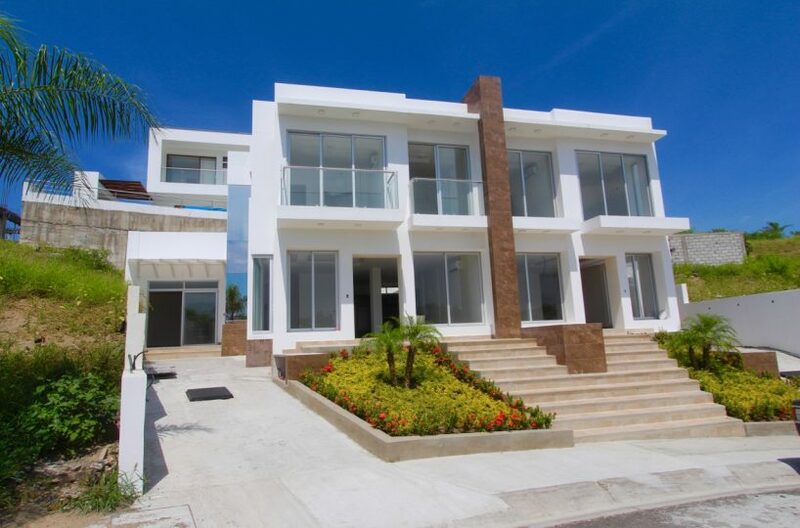 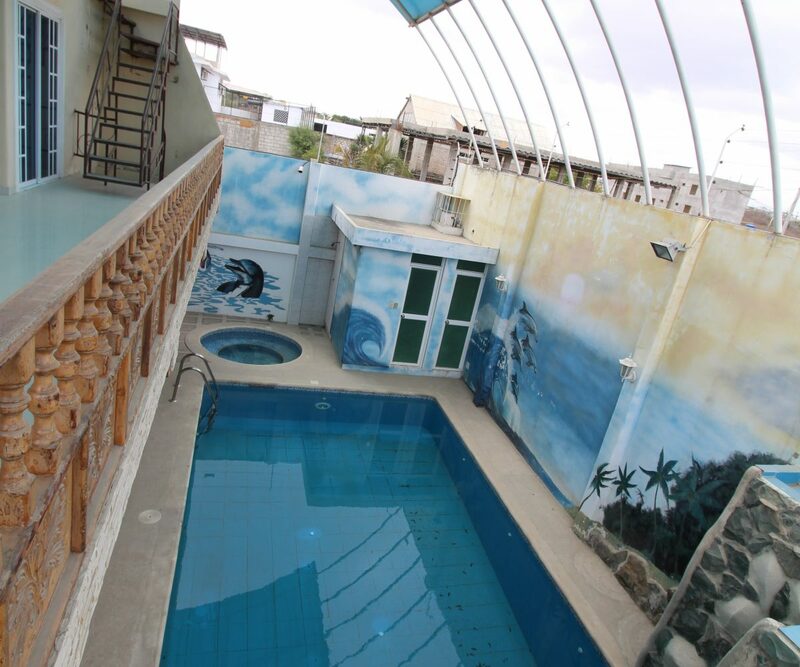 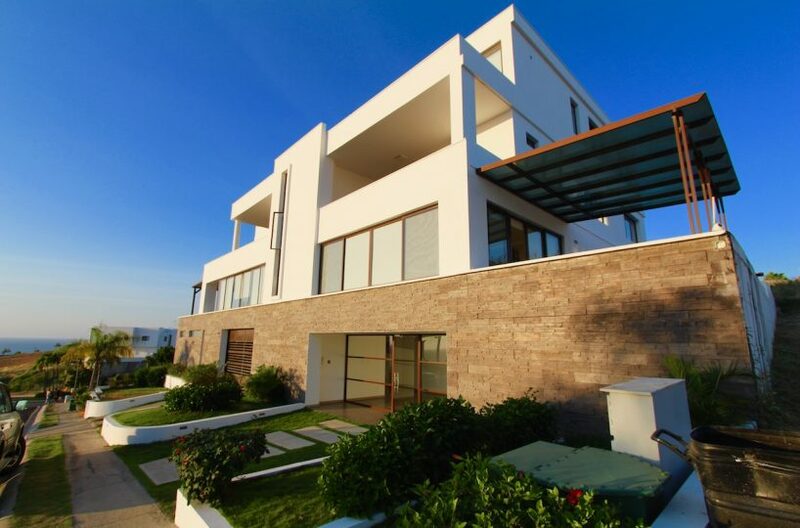 This beautiful and very large home overlooks the restaurant district in South Manta and the beautiful Pacific Ocean. 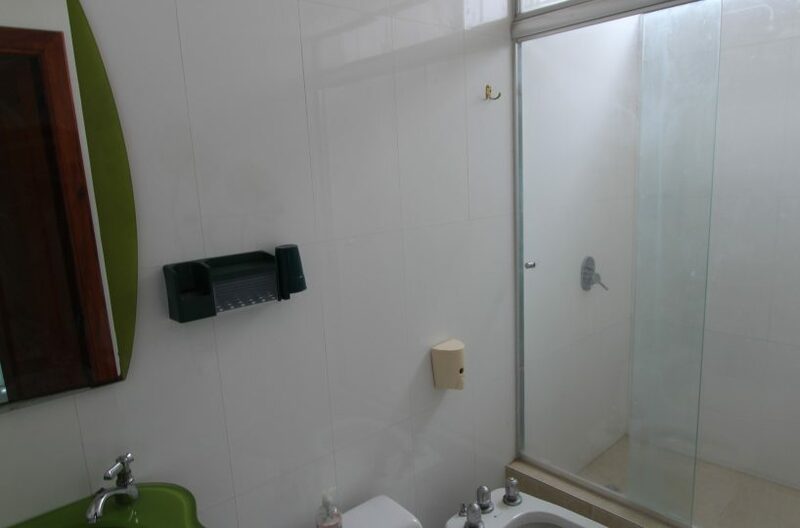 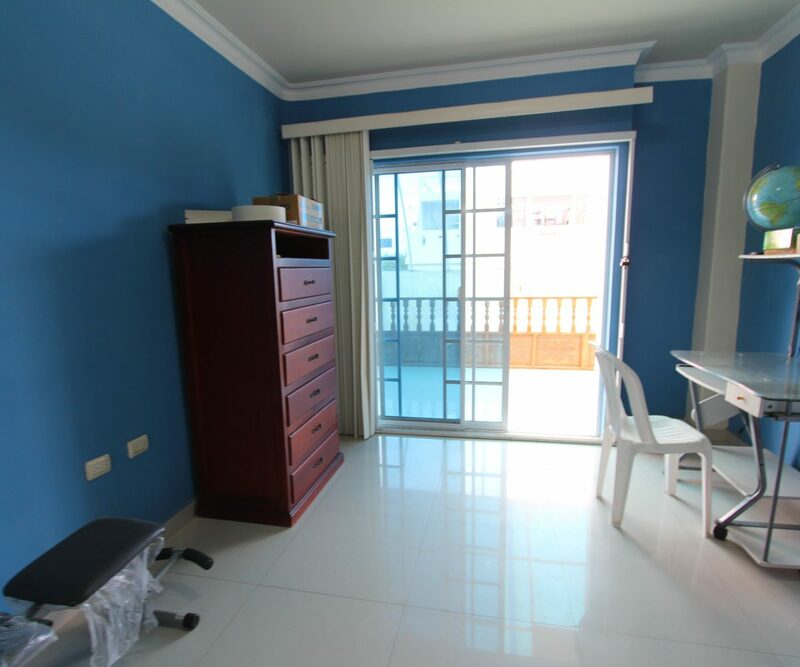 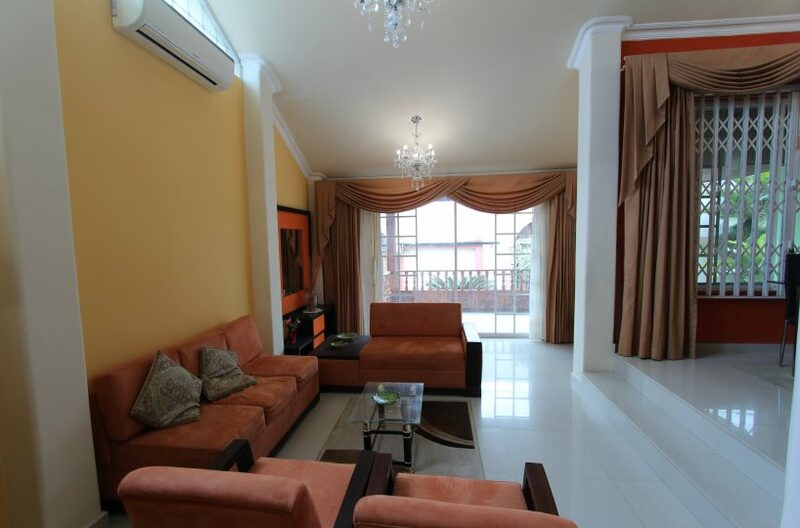 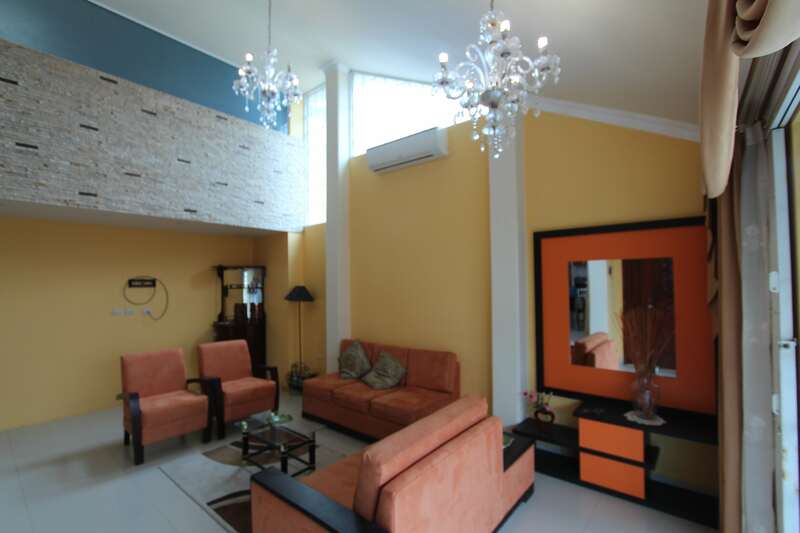 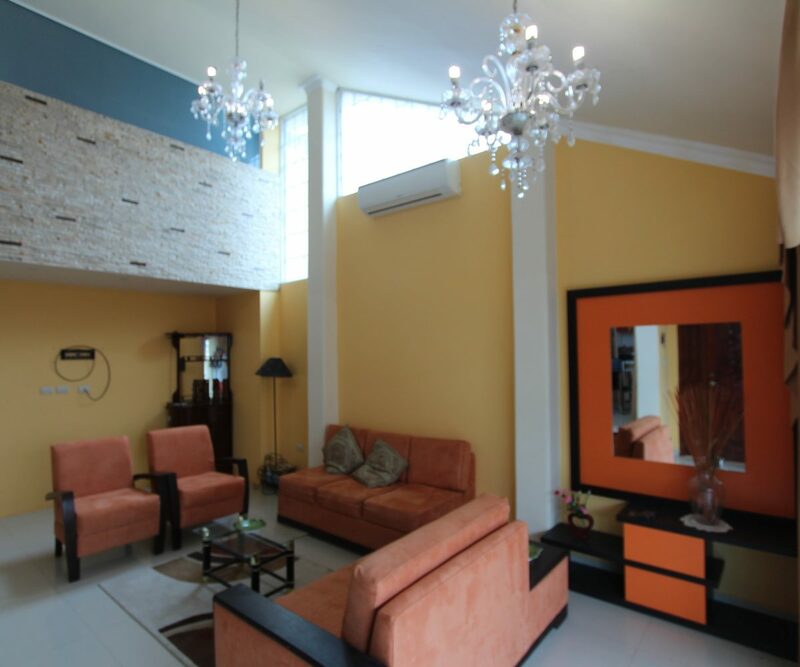 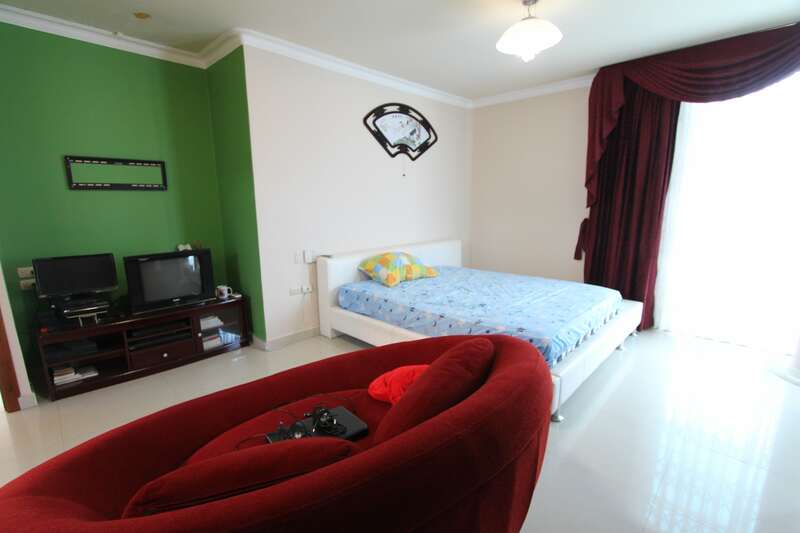 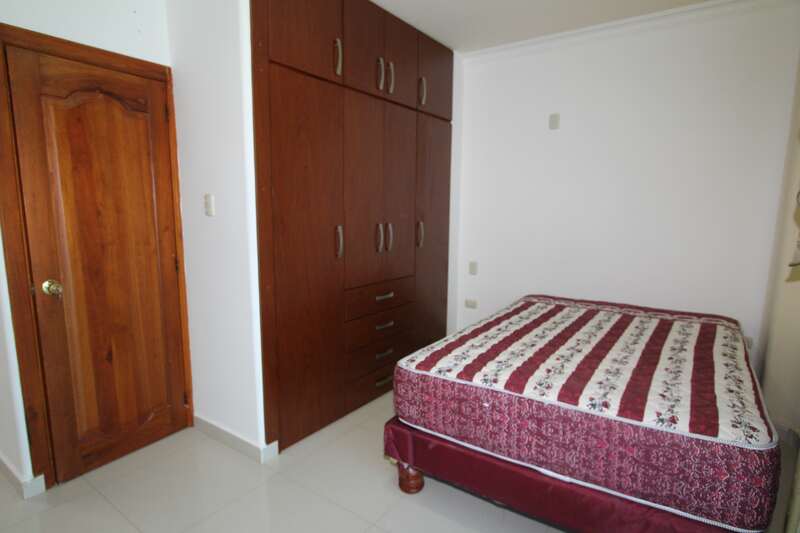 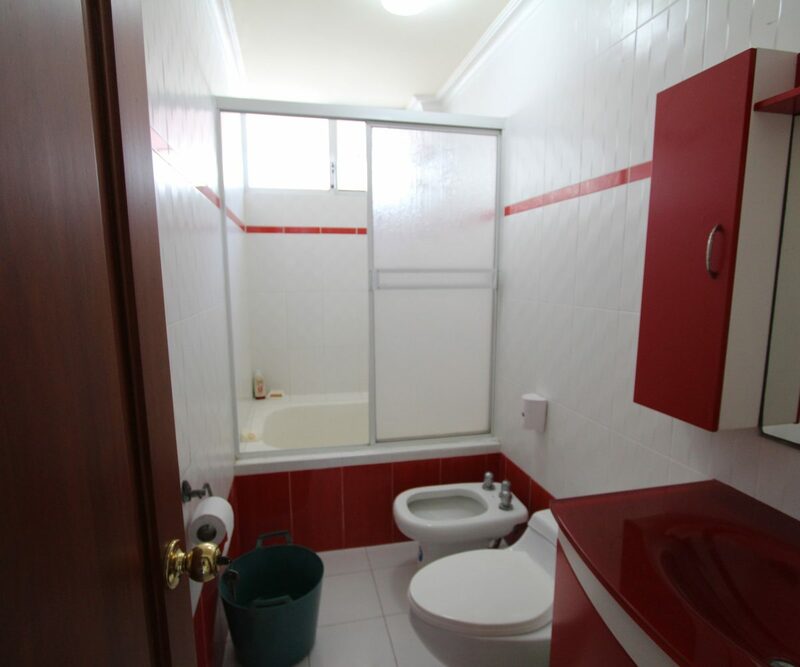 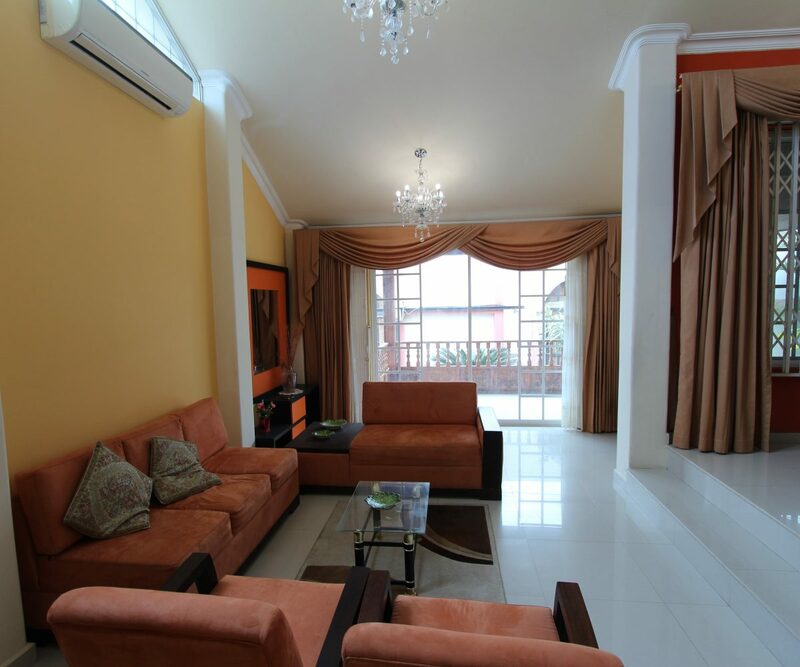 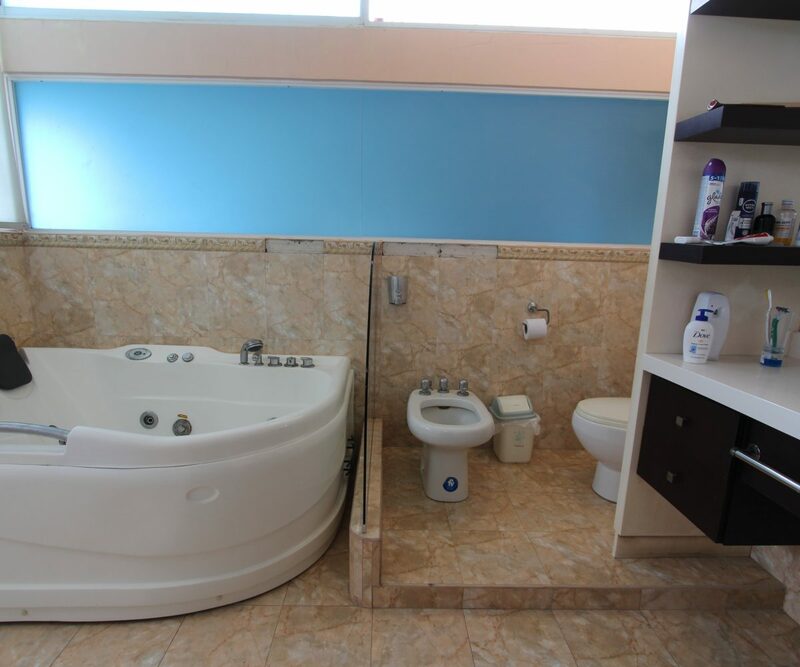 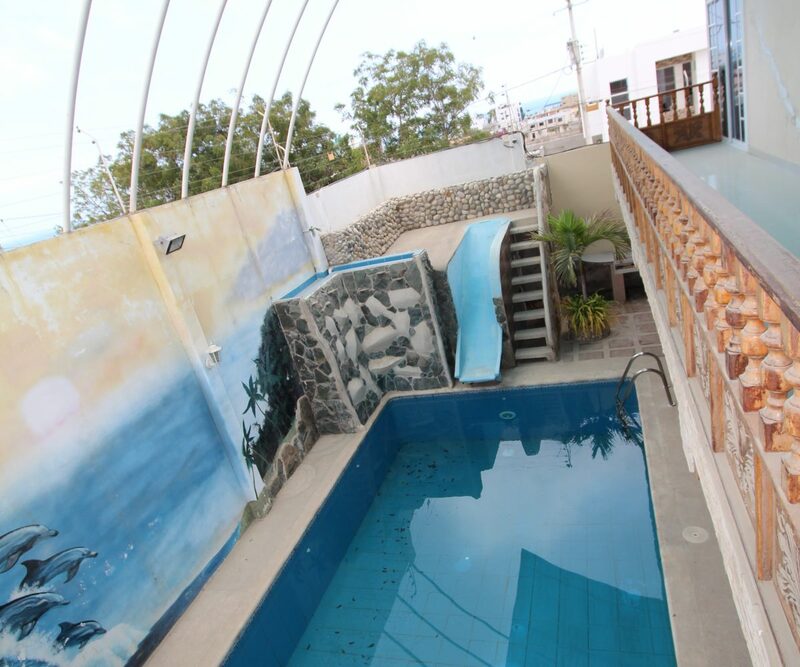 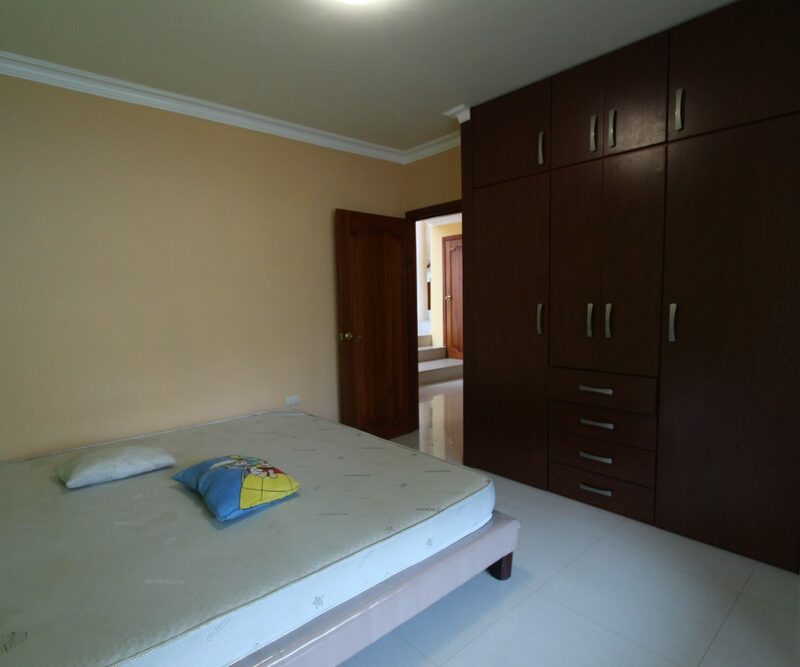 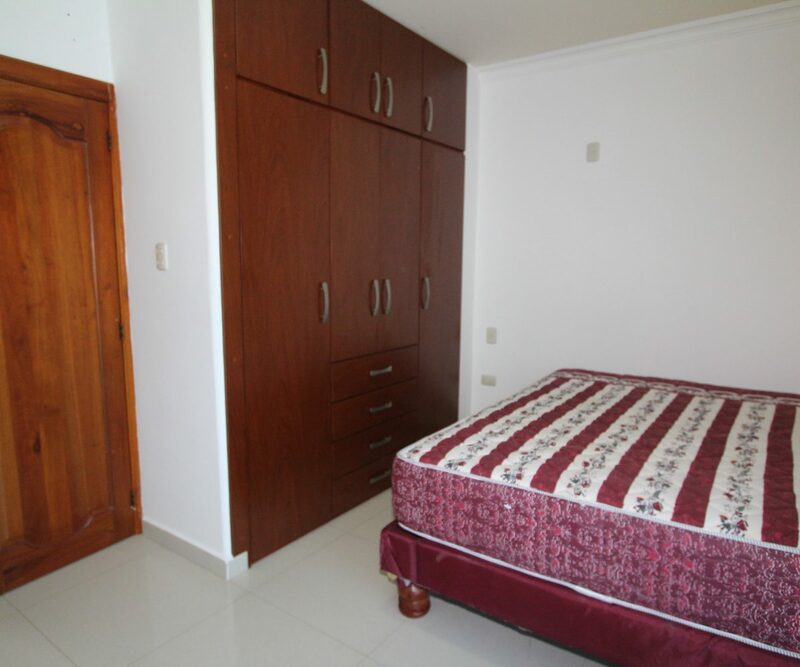 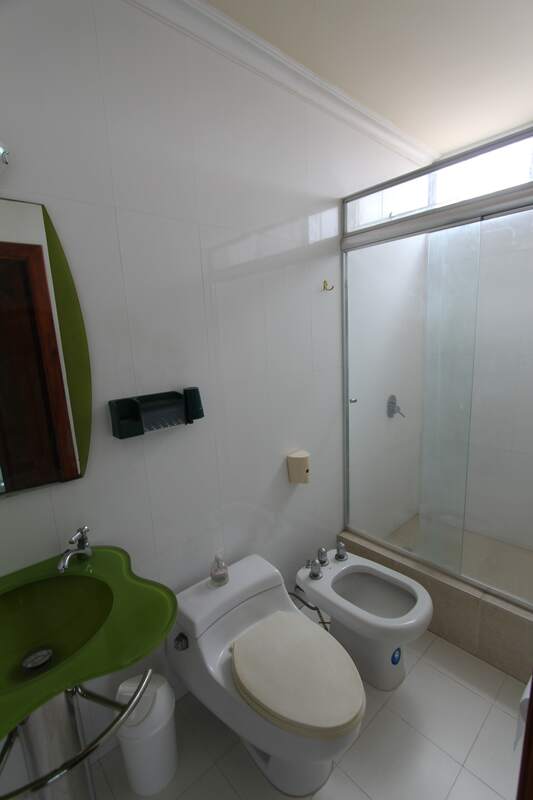 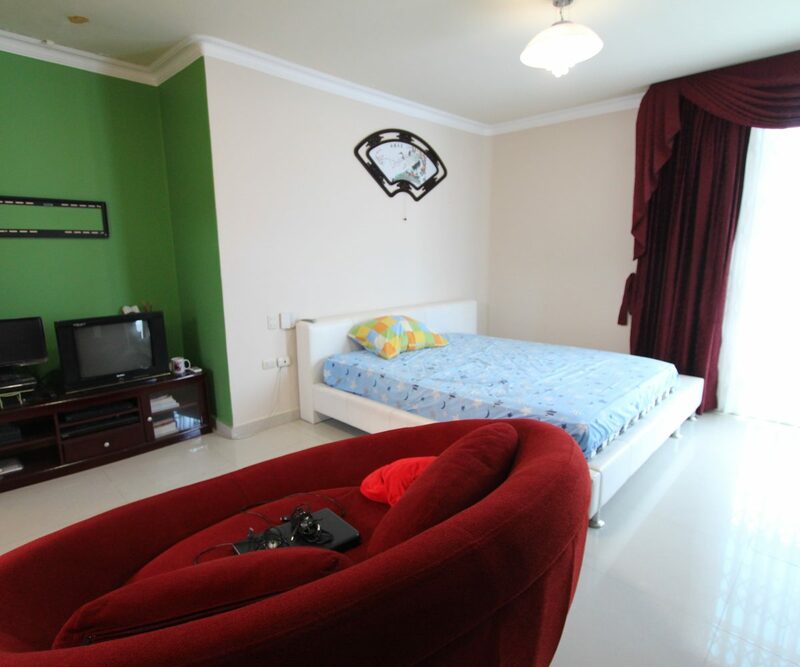 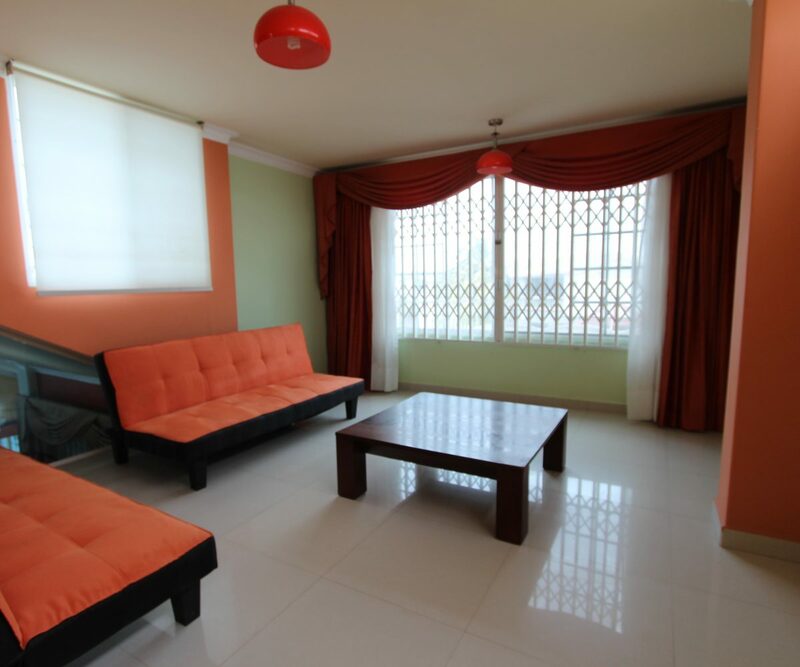 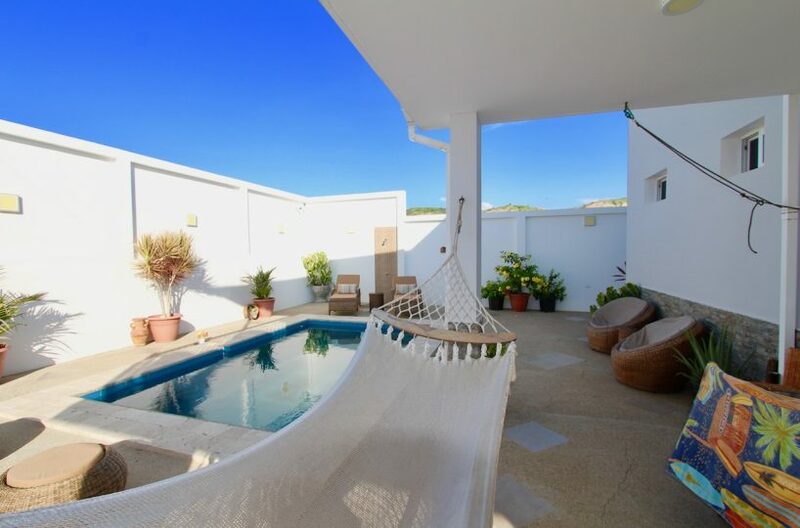 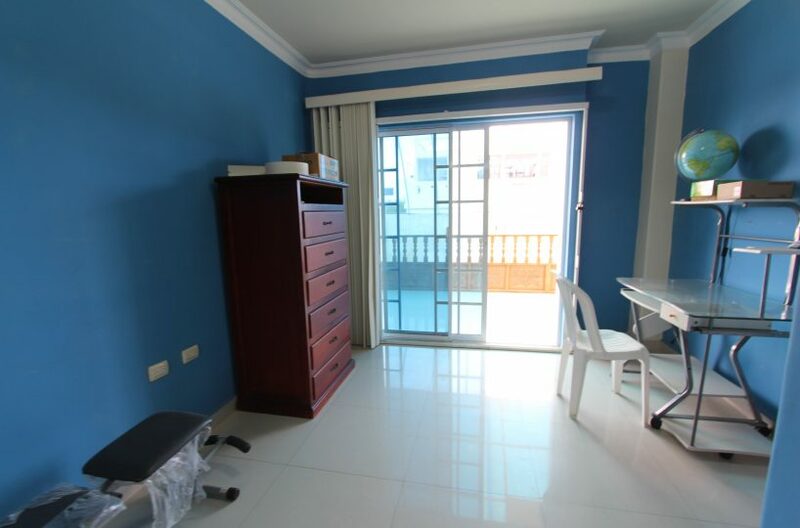 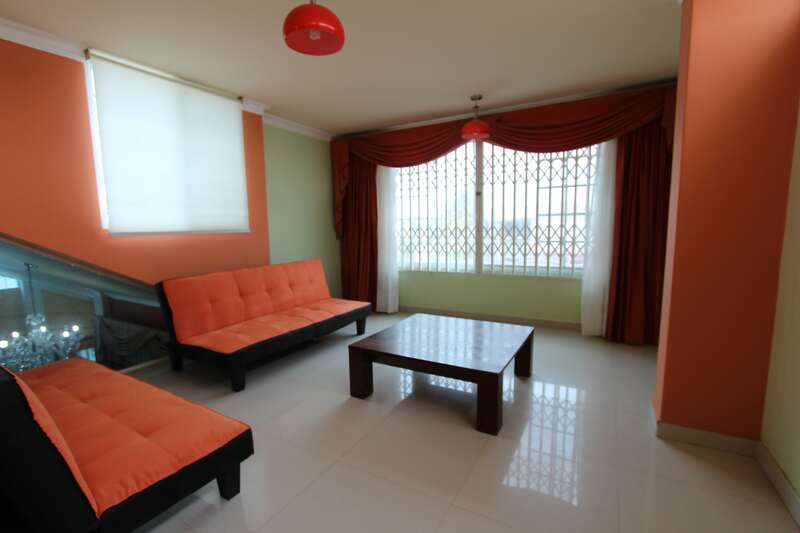 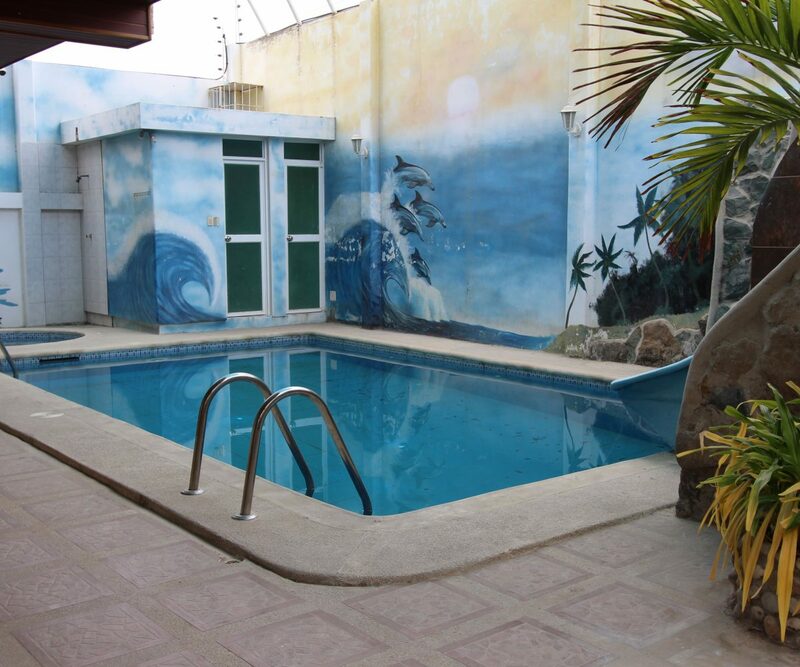 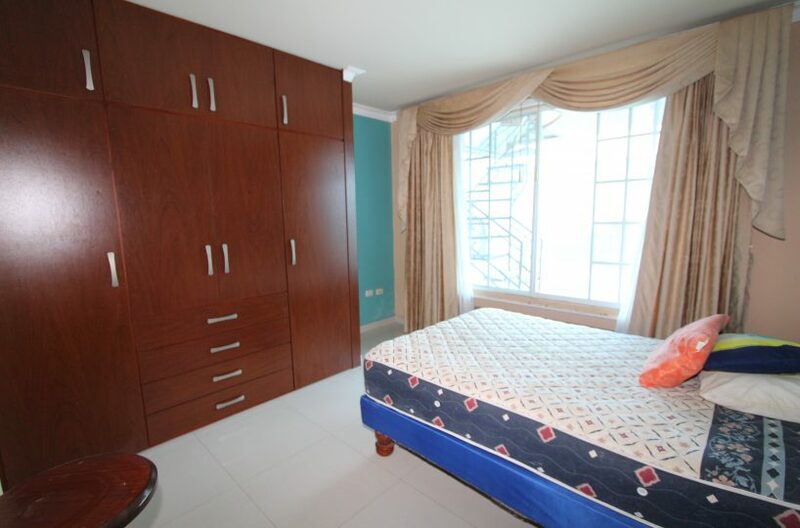 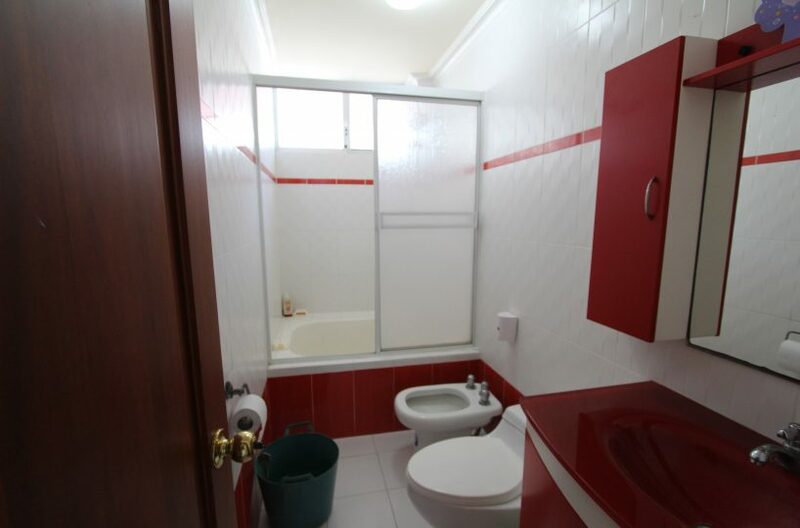 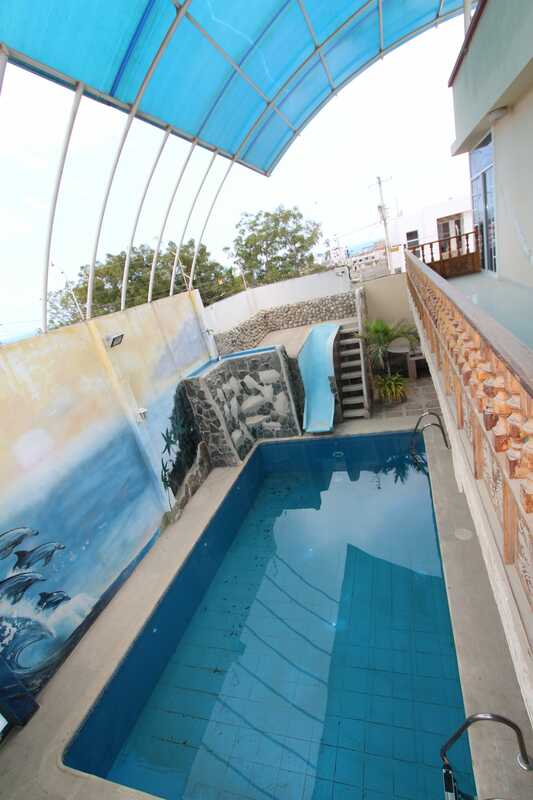 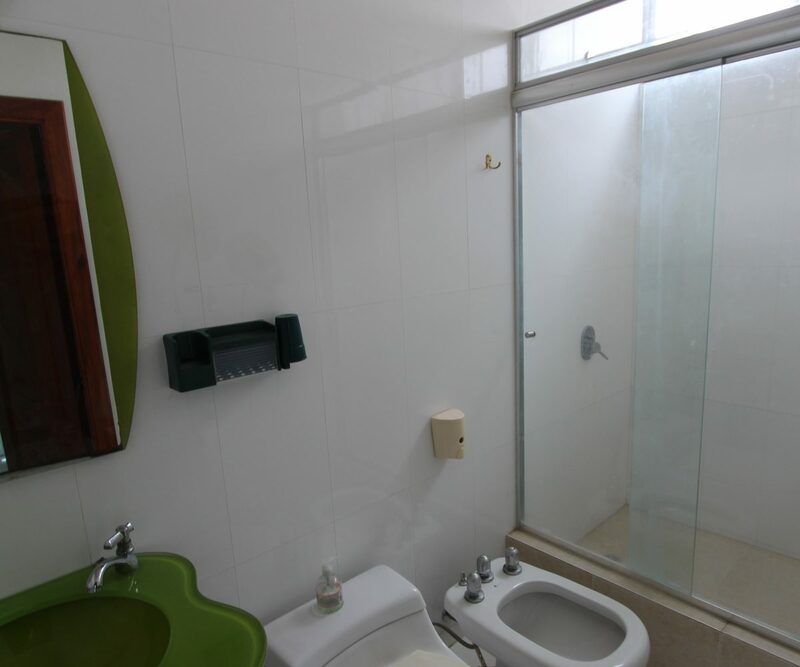 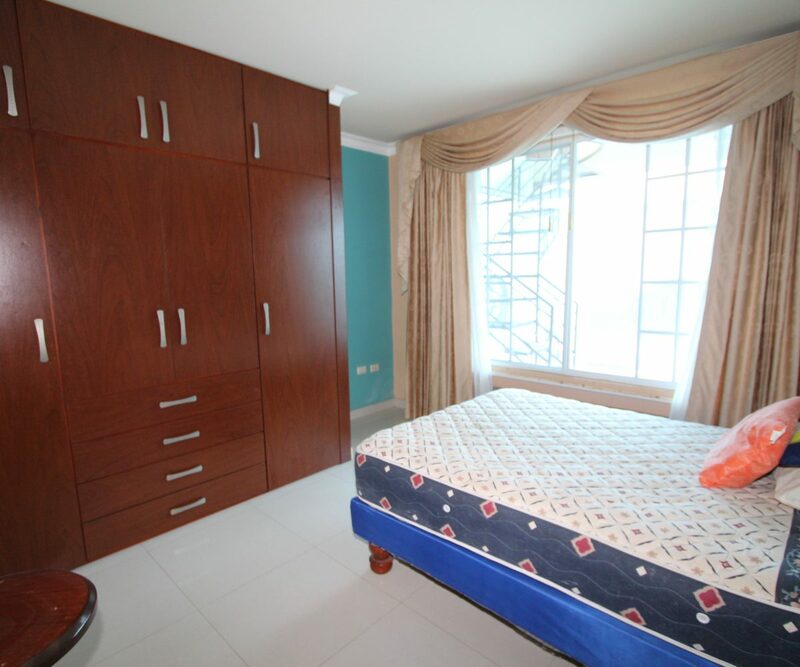 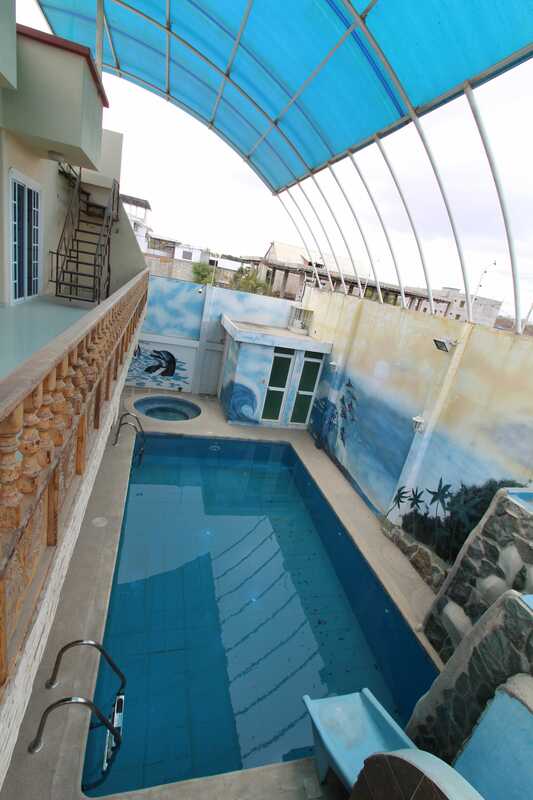 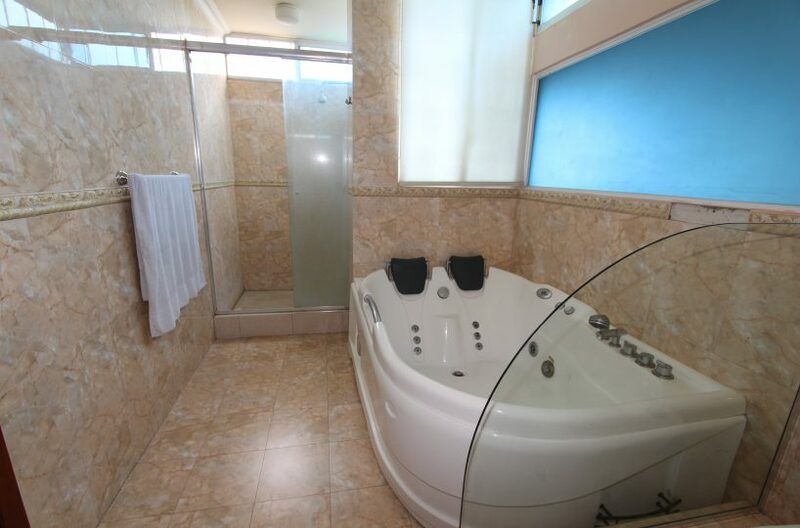 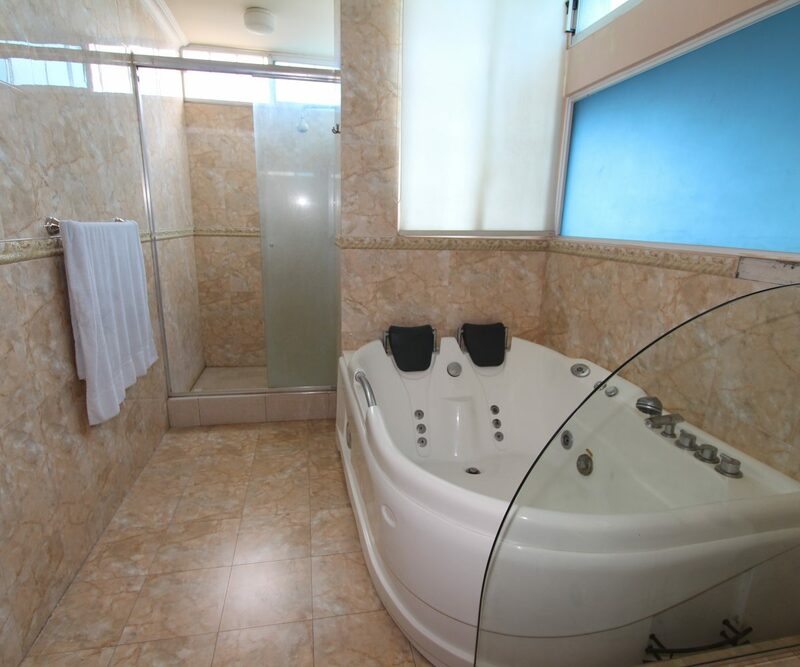 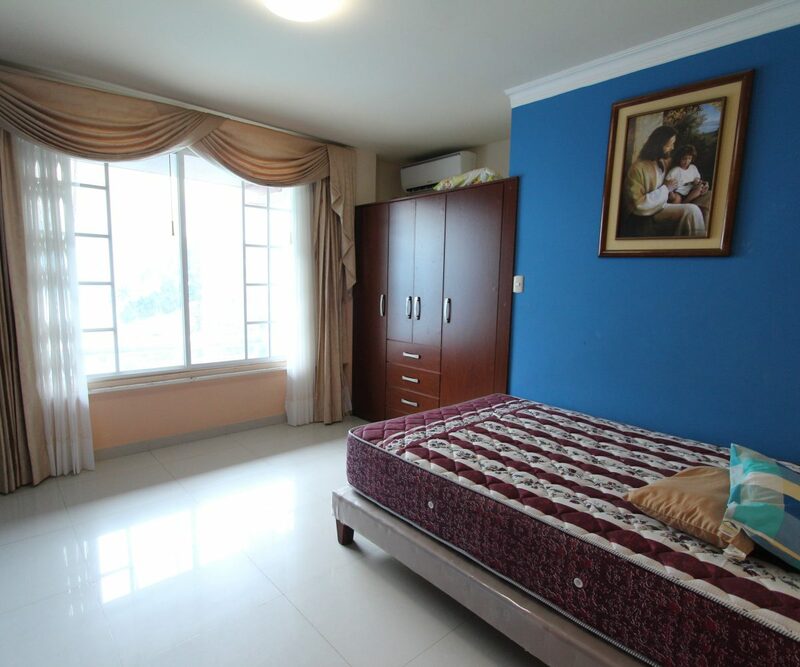 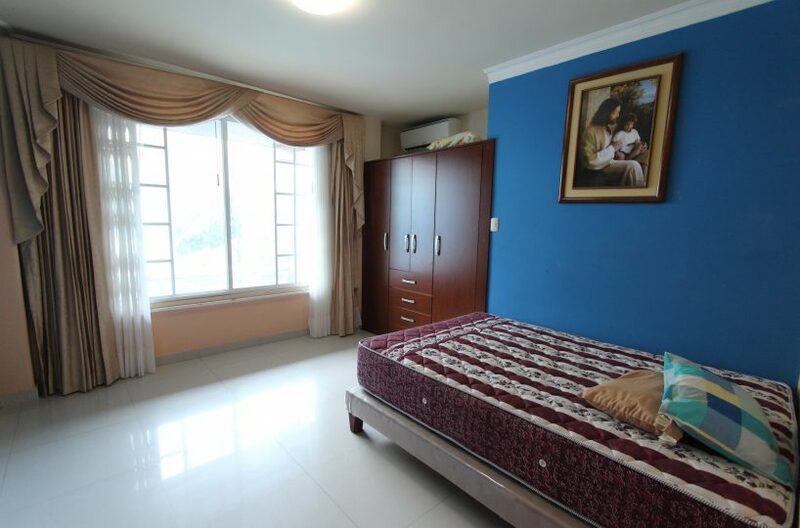 It comes with 5 large rooms all with big closets and a few that open up to a marvelous swimming pool and balcony. 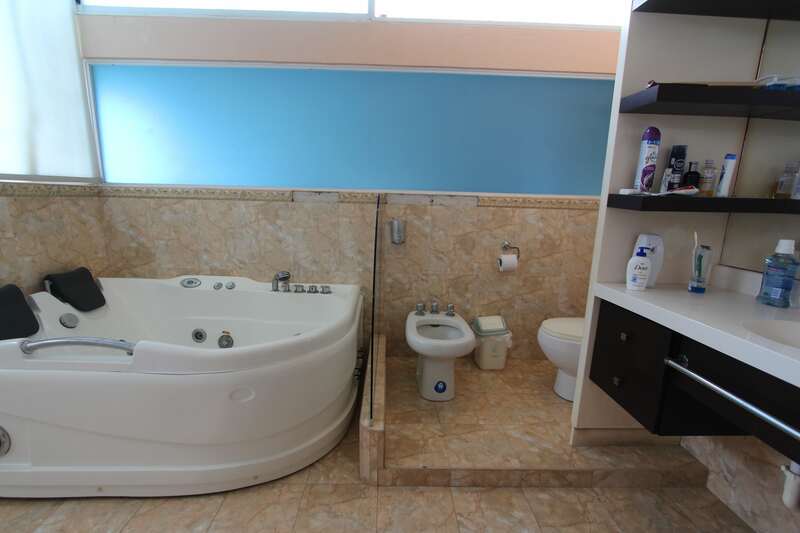 Not to mention there are 5 bathrooms and an outdoor shower. 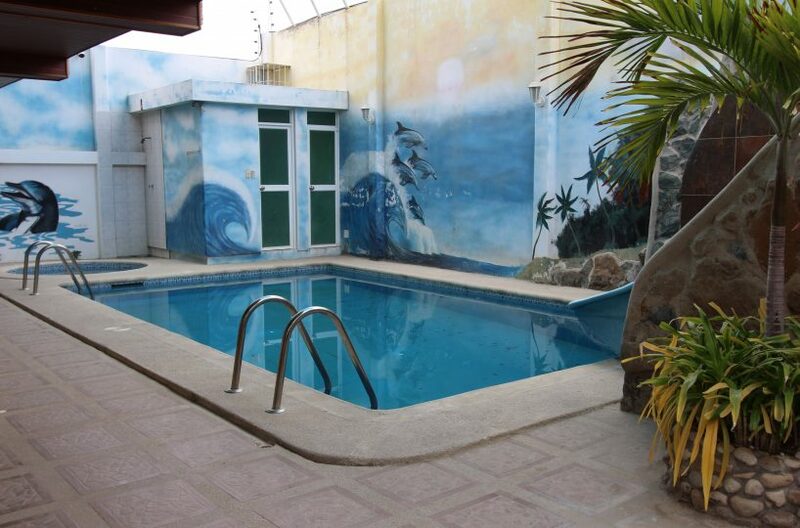 Only a five minute walk to the beach, this home is in a great location. The roof is also useful as a huge entertaining area where you can see the ocean and parks surrounding you. More rooms upstairs are in place and can hold guests or other family members. 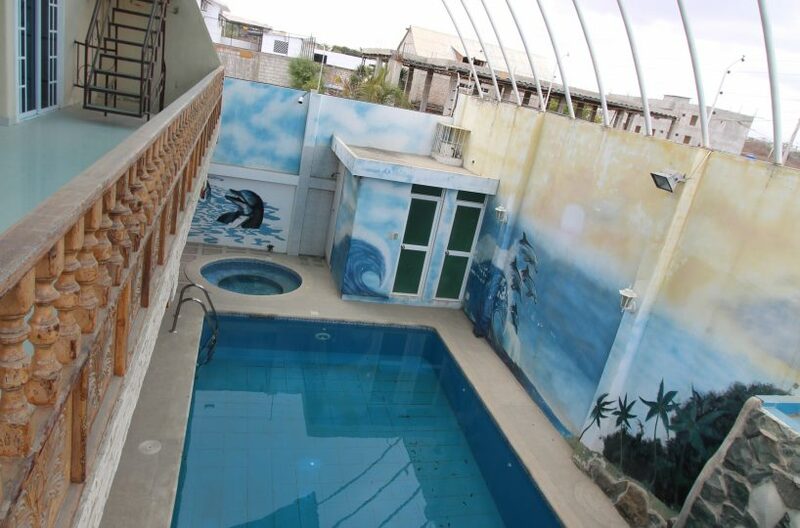 The swimming pool comes with all the machinery needed to clean and take care of the pool. 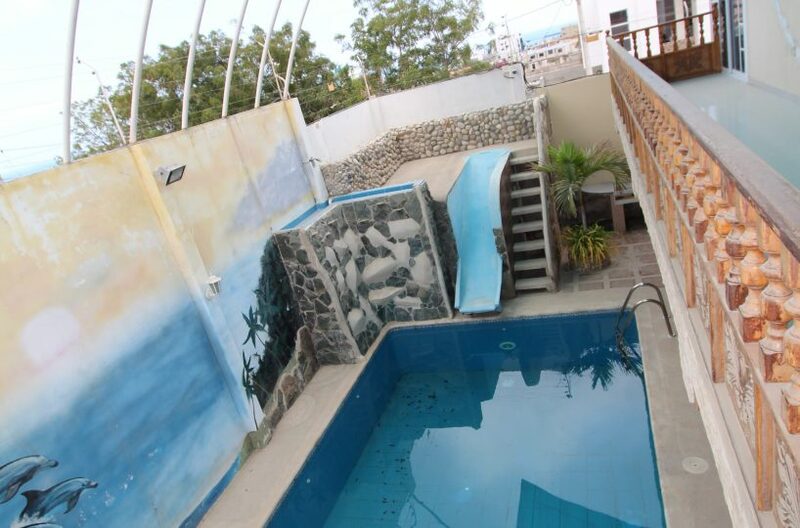 There is also a wet slide for the kids and many artistic murals surrounding it. 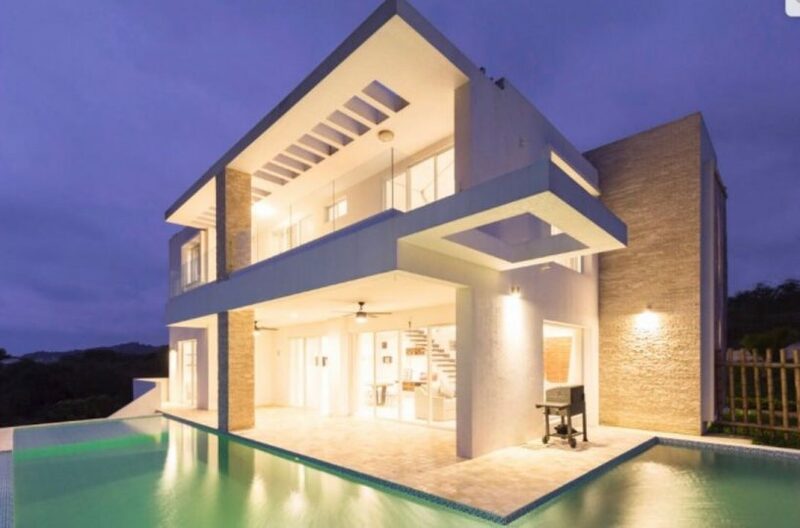 All in all this home is extremely well priced and you should be proud if you can buy this very custom home. 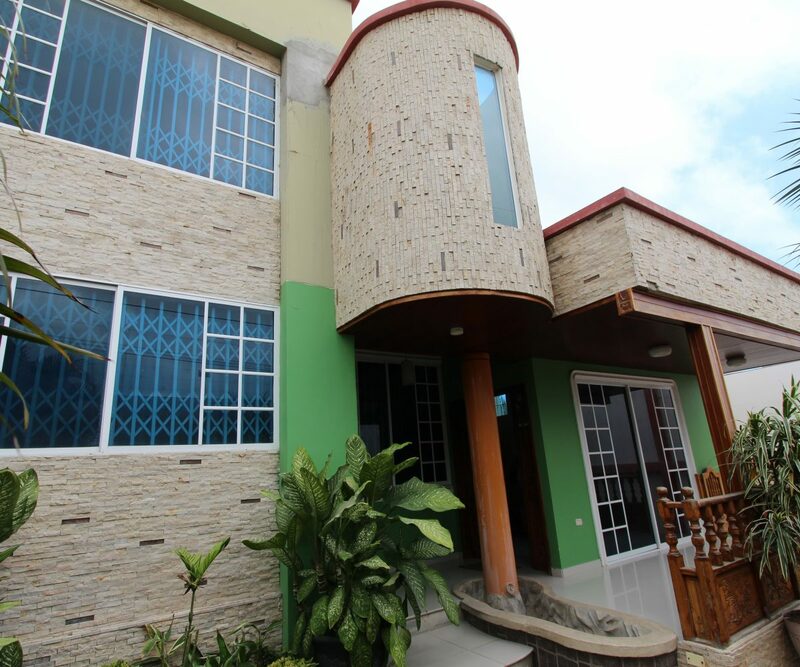 Call or email us soon for your private tour of Manta and this and many other homes.